The Jersey Museum and Art Gallery is located not far from Liberation Square. Changing exhibits in the modern section of the museum seek to present Jersey's history from pre-historic times to the modern age. 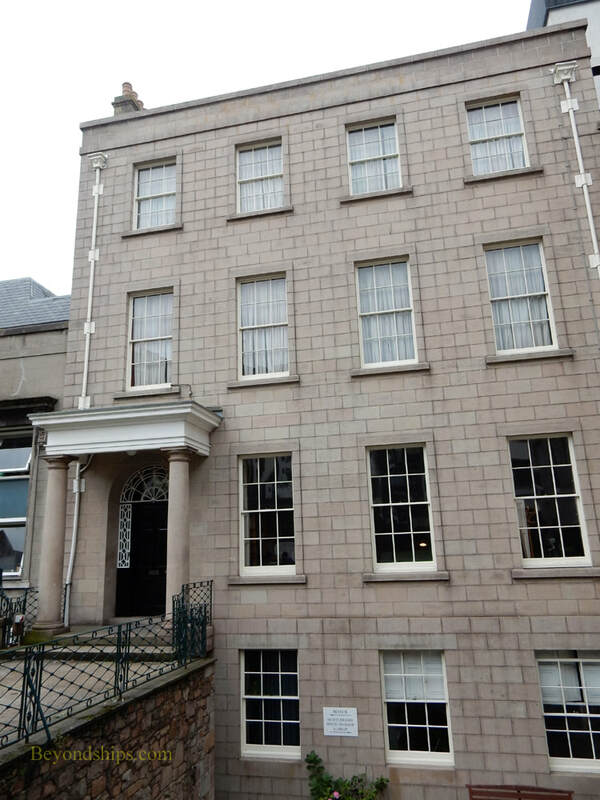 Adjoining the modern building is the 19th century Merchant's House. 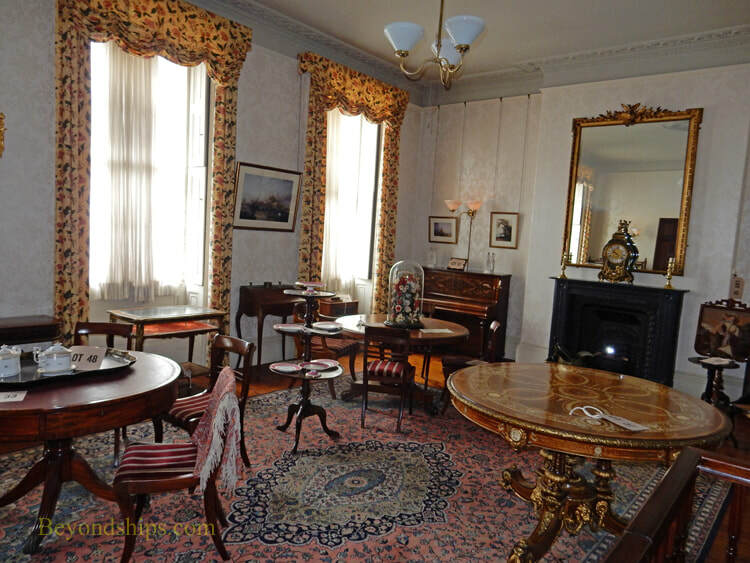 This building has three floors of restored rooms with Victorian antiques. Good use is also made of video projections in which costumed actors provide insights into Victorian life. Very little of the museum is devoted to art. 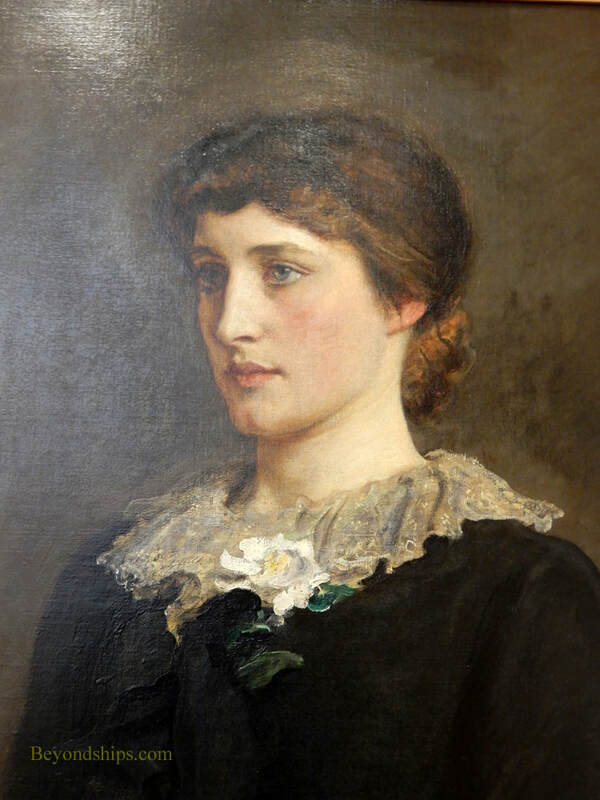 The jewel in the collection, however, is the portrait of Lily Langtry by Pre-Raphaelite artist Sir John Everett Millais. Both Langtry and Millais were from Jersey and went on to achieve fame in Victorian London. The painting caused a sensation when it was displayed at the Royal Academy in 1878. Above: The exterior of the Merchant's House. Below: One of the restored rooms in the Merchant House. ​Left: Lily Langtry by Sir John Everett Millais. The Parish Church dates from the 11th century. However, it has been altered considerably over the centuries. During the English Civil War, Charles, Prince of Wales (later Charles II) and James, Duke of York (later James II) attended services here. Both commanders in the Battle of Jersey are buried here. The French commander in the churchyard and the British commander inside the church. 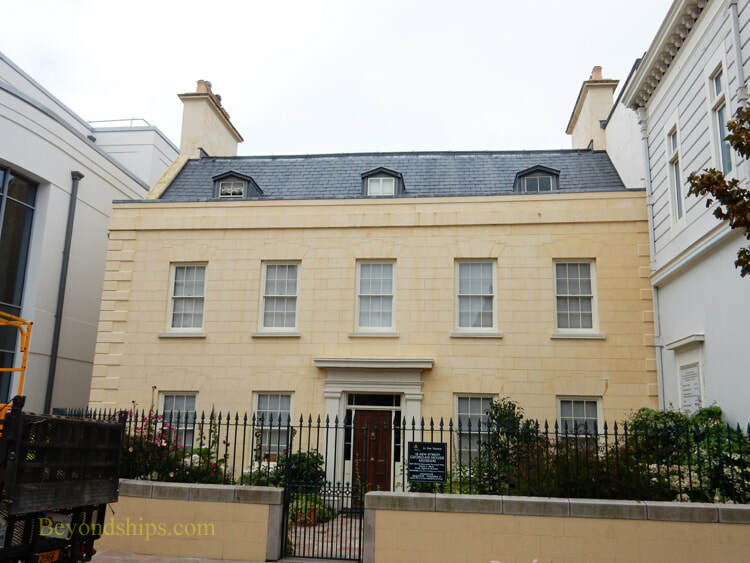 The 16 New Street Georgian House Museum is a fully restored Georgian house operated by the National Trust for Jersey. The house began life as an early Georgian home with fine paneled walls and detailing. In about 1812, it was radically altered to bring it in line with Regency tastes. By mid-century, it had gone from being a family residence to being a gentleman's club and further alterations were made. During the 20th century, it was a YMCA, a factory and finally a neglected storage facility. 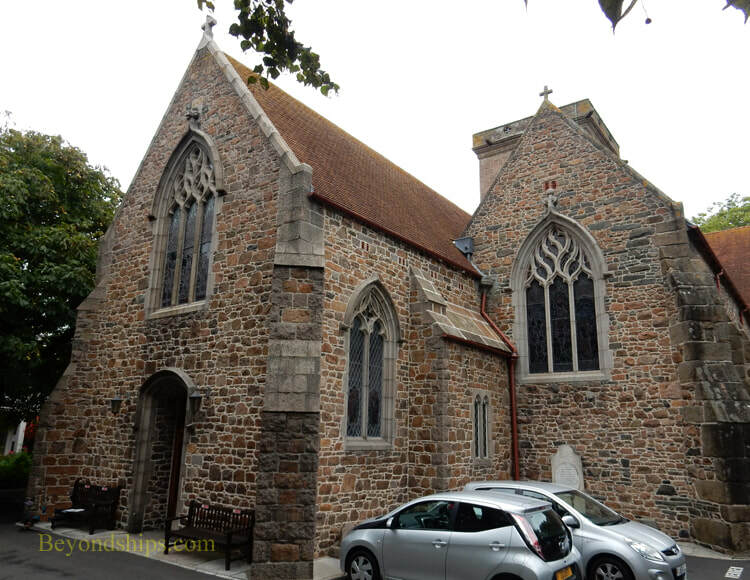 In 2003, it was acquired by the National Trust for Jersey who have restored it to its original elegance. Open three days a week from April to October, the staff include costumed characters who interact with visitors.